AUGUST DEAL: FREE BASKET WITH PURCHASE OF A NEW URB-E! 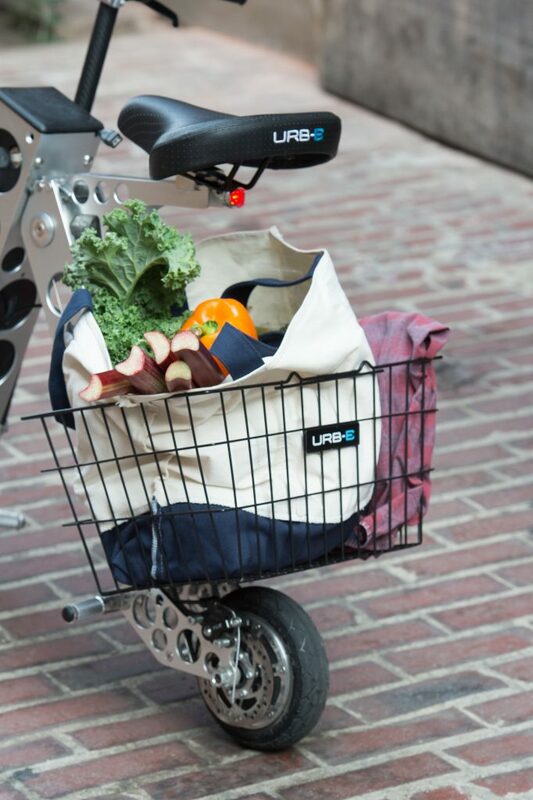 The URB-E Basket is the perfect companion to a new fully-electric URB-E Scooter, so for August we're excited to offer a free basket to you if you buy an URB-E with coupon code "AUGUSTDEAL"! Receive a basket FOR FREE using discount code "AUGUSTDEAL". All you have to do is copy "AUGUSTDEAL" and paste or enter the code at checkout: while it will read as a savings of "$.01," we promise we'll include your basket in this order completely free of charge. No need to add the basket to your order, we'll do that for you! And FREE SHIPPING! Check it out in the URB-E Store Now! The URB-E was designed, built, and is shipped from Pasadena, California. Created as a solution to the "last-mile" problem that people face when they need to get from a bus or train to their work or home, our customers have show us that the uses for an URB-E are limitless! With a 20 mile range, the URB-E can completely change an owner's habits, as it opens up a whole new world to explore by getting you where you need to go while saving you on time, money, and stress. The cargo basket is a great accessory for the URB-E that allows you to fold the URB-E down and use it as a shopping cart, carry books or computers, or even provide a spot for your dog to hang out while you cruise around town! The URB-E is the electric transport of your dreams. And for August 2016, we are giving you the opportunity to get a FREE URB-E Basket with the purchase of a new URB-E by just entering "AUGUSTDEAL" at checkout!